The popular game of trivial type questions among online users, Triviados, is now available on the App Store. The wait is over for users who were eager to have this game on their iPhone, and it was only available for the other platforms, and similar popular use among people known as Apalabrados . 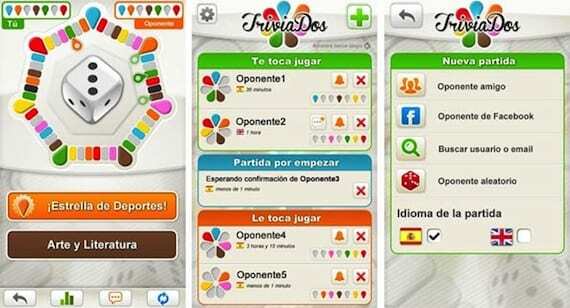 Triviados a board game available online for all types of smartphones, tablets, desktops and laptops. This is a game like Trivial Pursuit composed of more than 7,000 questions and answers are updated also perióndicamente for players never get to know all the questions and the game continues to have, at all times, the excitement of the first day. It also uses new rules, like stealing stars and the Challenge, which make the game much more competitive. Pueder add friends to challenge them through your user name, email or Facebook, but the Facebook option will be available in a few days with an update. Triviados can download for free from the App Store by clicking on the link below. Willing to start the challenge with your friends on what's most smartass? Article Triviados now available on the App Store was first published in News iPhone .